Base of natural ash wood and jewelry resin. 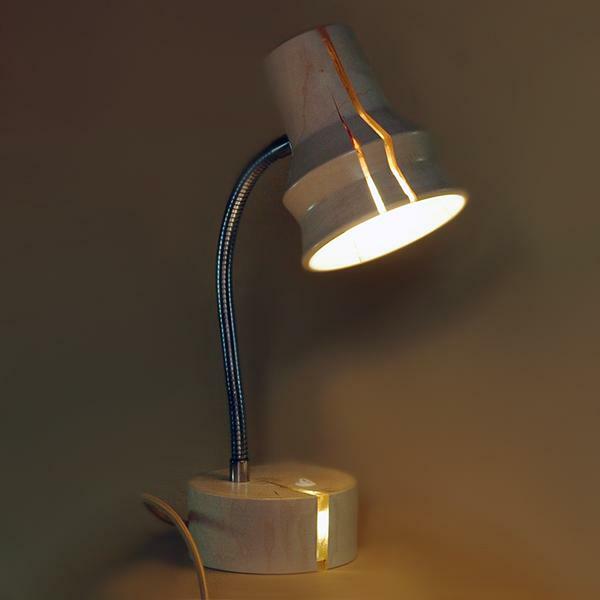 A handmade wooden table lamp. Fits extremely well with loft-type interiors, adding in the natural wooden look and a pinch of nostalgia. Contains two light sources: a lamp inside the lampshade and a small light inside the wooden base.